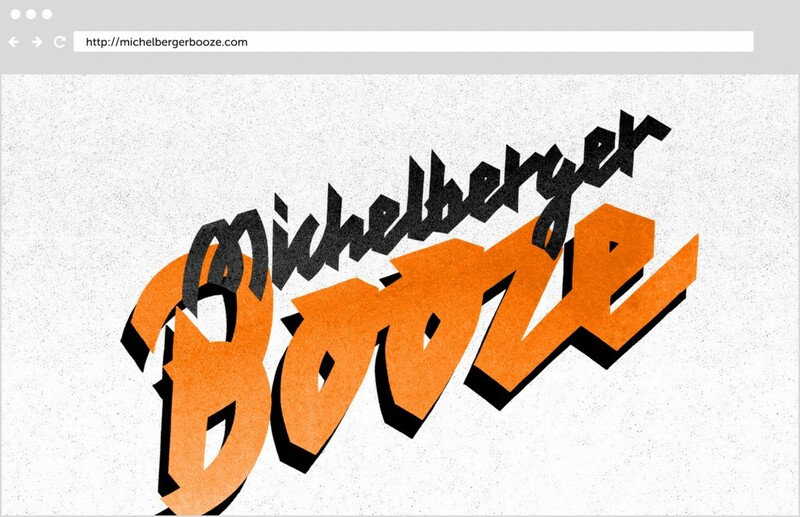 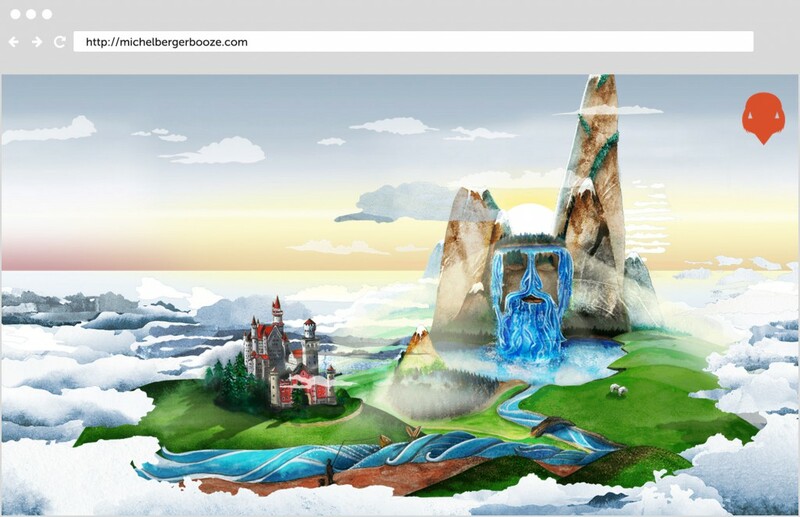 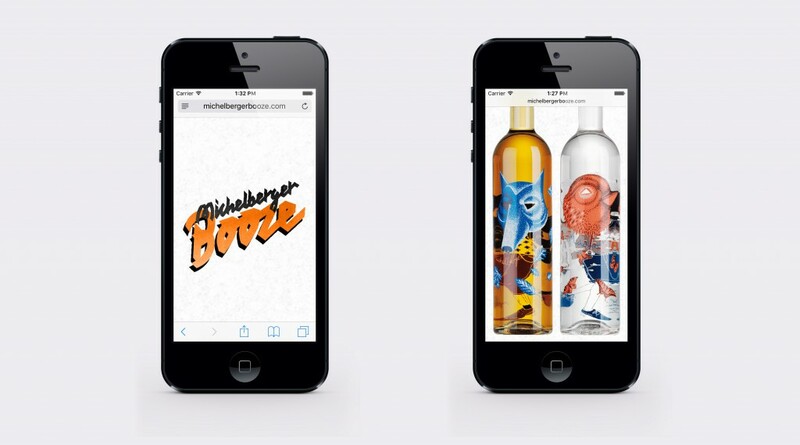 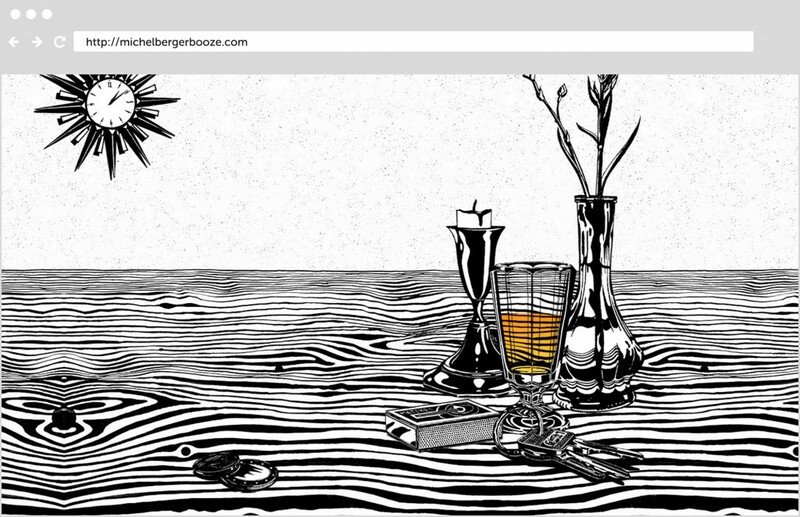 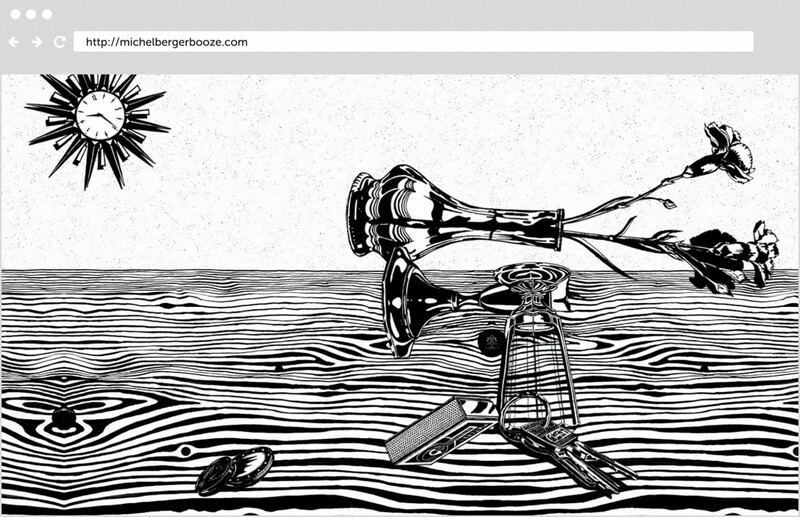 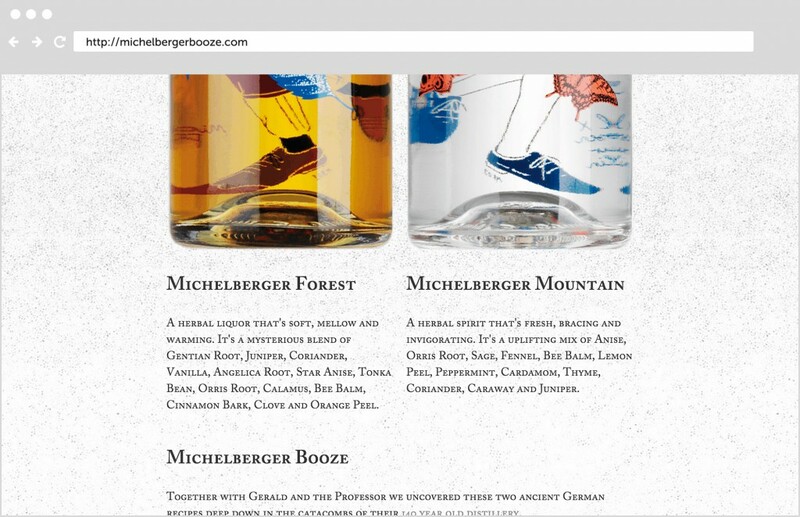 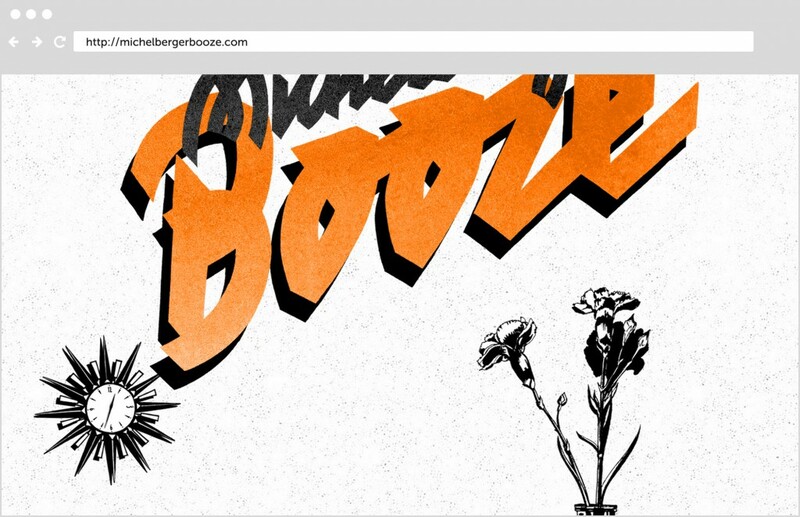 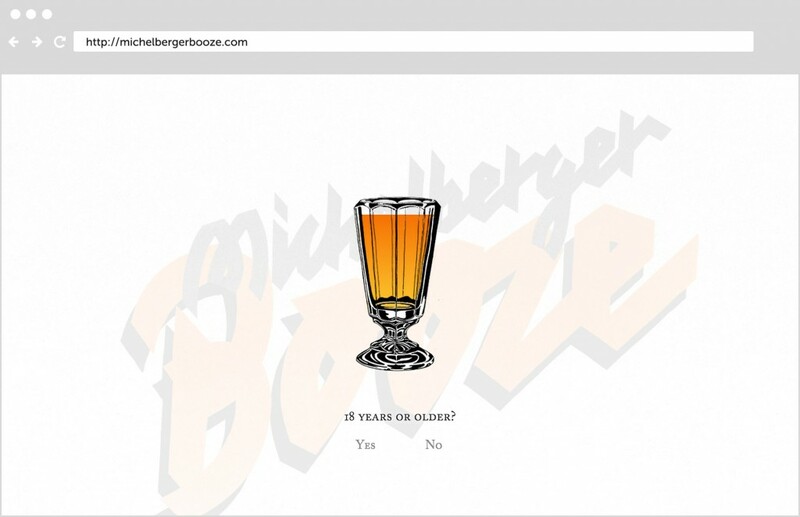 In the Michelberger Studio we developed an experimental brand website for the Michelberger Booze Company. 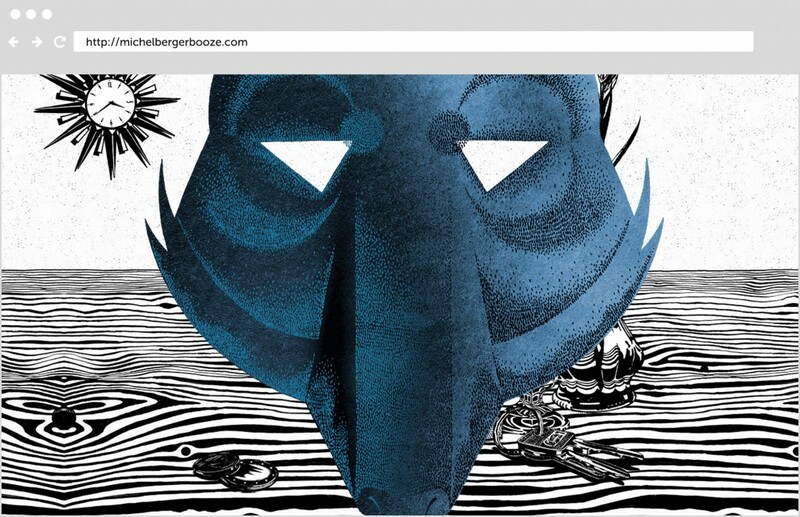 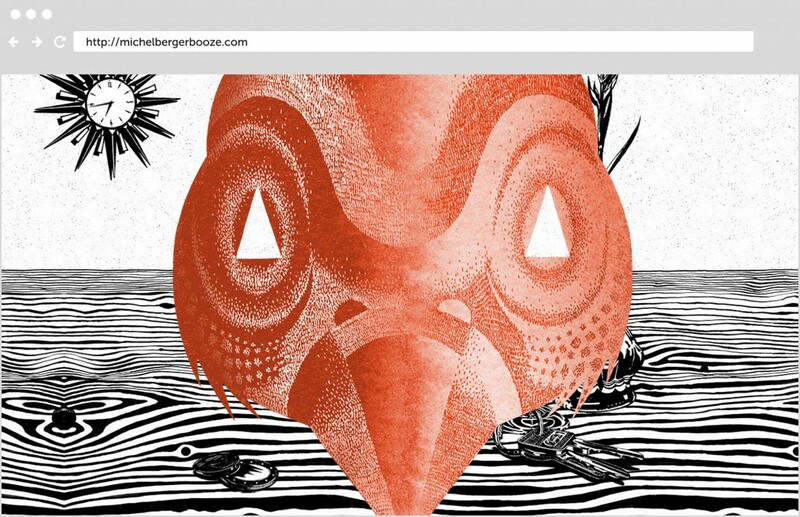 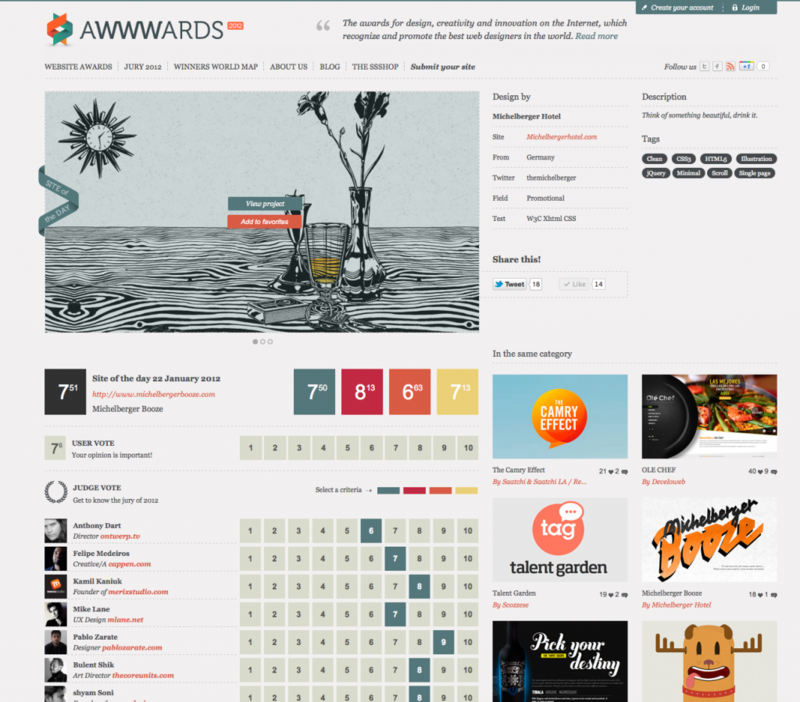 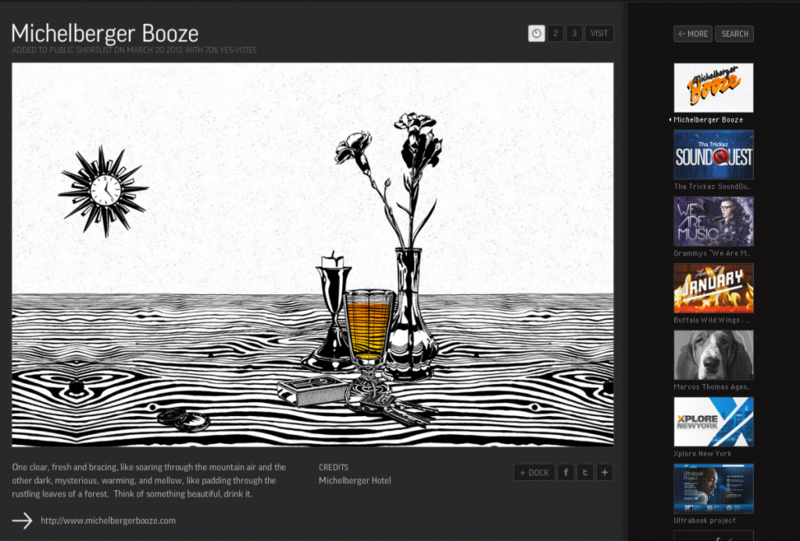 The website concept explores the metaphor on how drinking booze allows us to put on masks and see things differently. 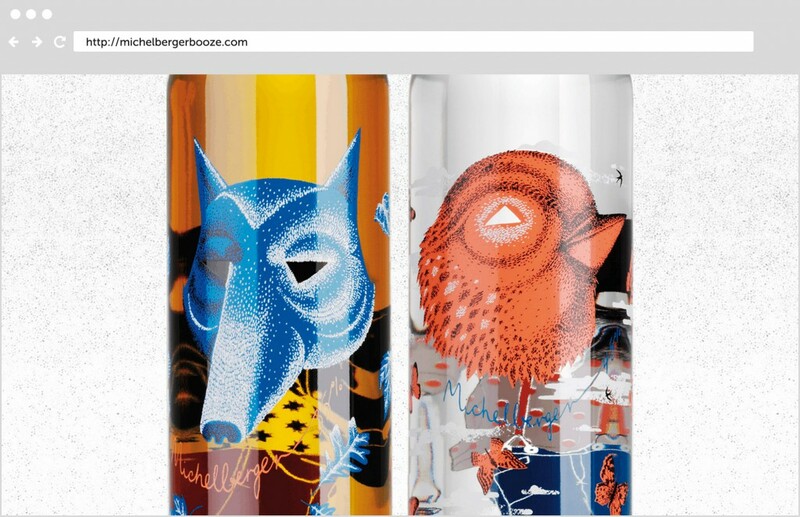 Each flavour features a mask and a animated scene when “we put it on”. 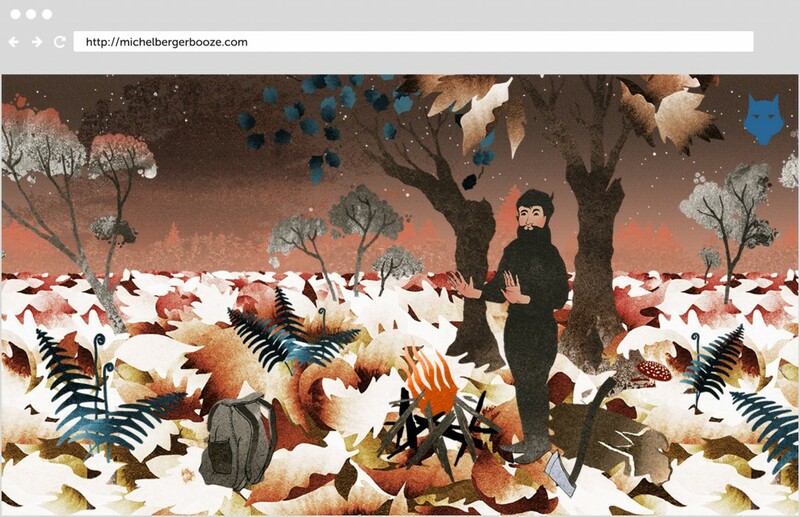 Art direction, illustration by Azar Kazimir, Illustration by Kater Stets.